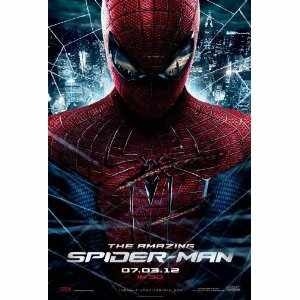 Amazon is now taking pre-orders for The Amazing Spider-Man on Blu-ray Disc and DVD. And, one of the editions (albeit the most expensive), includes two collectible Spider-Man and Lizard figurines. The Amazing Spider-Man Limited Edition 4-Disc Combo includes Blu-ray 3D, Blu-ray, DVD, and Digital Copy, as well as deleted scenes, alternative takes, commentaries, and additional featurettes. Several of the Blu-ray editions also include an UltraViolet Digital Copy. On Amazon, current prices range from the least expensive DVD ($21.69) to the Limited Edition 3D with figurines ($67.19). Here’s a direct link to pre-order The Amazing Spider-Man at Amazon.com.